Computers have become the workhorse of both your home and business, so when something goes wrong you need it fixed ASAP. Whether your PC is running slow or doesn't even power up we offer a wide variety of services for your desktop and laptop computers. 7e Digital LLC is located in Tucson, AZ and is ready to service all of your home or business technology. Schedule an on-site appointment online or give us a call at (520) 393-9299. 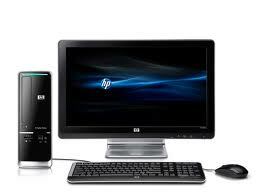 If you are have a problem with your PC our skilled technicians can fix it. We have fixed a wide range of PC issues from not powering on, to overheating or just not running right. If your PC randomly shuts down, your seeing errors or the blue screen of death your problem could potentially be overheating. We can clean the dust out, re-seat your heatsink on your CPU and replace any fans causing the problem. Missing keys? Did you spill something on your keyboard? Mouse Touchpad not responding right? We can replace the necessary part(s) to get your laptop running good as new. Has your laptop screen been broken? If so we have the tools and know how to replace your laptop screen at a reasonable cost. Schedule an appointment now and we will get your laptop display working again. Does your PC run slower then the day you purchased it? If so, we can clean up your PC and make it good as new. Over time your PC collects files that are no longer needed and just slow down your PC. We will remove these files, manufacturer bloatware and any trojans/viruses that may be present causing your PC slowdown. Regardless of what operating system you use these days they are unfortunately susceptible to all sorts of malicious software. 7e Digital specializes in virus and malware removal from your PC or Mac that may be slowing down your computer or creating annoying pop-ups. Have you locked yourself out of your PC because you forgot your password? If so, we can reset your BIOS, Windows or other passwords without losing any data. Have you ever wanted to try another operating system like Linux, but were afraid of losing your current operating system? If so we can install as many operating systems on your PC as you would like.